Getting dental crowns used to be a tedious procedure taking several days and involving consultations and working with messy molds of your teeth, in addition to being very costly. With modern technology, you can now receive computer designed dental crowns in Costa Rica much faster and more affordably. 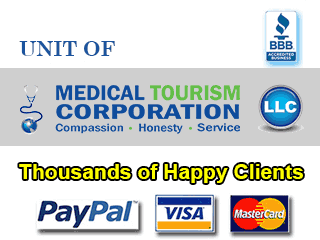 Medical trips to the Latin American countries of Mexico, Costa Rica, El Salavdor, etc. have become very popular as they allow patients to receive quality care at an affordable price. By Getting CAD CAM dental crowns in Costa Rica is one such low-on-cost, high-on-quality treatment that’d be appreciated by dental tourists. CAD/CAM stands for Computer-Aided Design and Computer-Aided Manufacturing. The involvement of this computerized system allows the fabrication of better-fitting dental crowns. Not only are traditional dental crowns more labor intensive and time consuming to complete the procedure, they often aren’t ideal in appearance. CAD/CAM dental crowns allow dental professionals to use very strong porcelain and to shape it ideally for your tooth to give it a more natural appearance. CAD/CAM dental crowns can usually be fitted in a single visit, so you won’t need to wear temporary dental crowns while you wait for your dentist to form the crown. According to the Centers for Disease Control, approximately 45 million people in the US didn’t have dental insurance in 2008. Taking advantage of dental tourism in Costa Rica provides you with the opportunity to receive dental care at a price you can afford even without dental insurance. The cost of zirconium dental crowns in Costa Rica is affordable enough that you can see significant savings even after considering travel expenses. Dental crowns in Costa Rica are made of the same high-quality materials you find in the US, so you won’t be sacrificing quality by getting your dental caps in Costa Rica. Costa Rica is known as one of the world’s top destinations for those looking to enjoy the beauty of nature. You can appreciate the local beauty while getting CAD/CAM dental crowns in Costa Rica. In the World Health Organization’s last ranking of health systems throughout the world, Costa Rica was ranked above the US. As Costa Rica is a very popular tourist destination, you may find many other travelers and locals to converse with in English during your stay for zirconia dental crowns in Costa Rica. Costa Rica supports a healthy, active lifestyle and if you choose to stay for a short vacation after your procedure, you can indulge in fishing, surfing, rafting, and biking. Dentistry in Costa Rica is performed by experienced professionals who have undergone rigorous training. Many dentists working in Costa Rica have trained in the US. Before making the trip to get dental caps in Costa Rica, make sure to check with your doctor to be certain you have all of the proper vaccinations and medications for your trip. You should visit your doctor at least 4 weeks before making your trip. Visitors traveling to Costa Rica who do not have citizenship there are required to have roundtrip tickets. Visitors are also expected to provide proof of having a financial income of at least $100 per month during their stay in Costa Rica as tourists. Tobias Bolanos International Airport (Airport Code: SYQ), which is in San Jose. Juan Santamaria Airport (Airport Code: SJO), located nearby to the cities of San Jose, Heredia, and Alajuela. Low-cost full mouth restoration in Costa Rica, along with other dental procedures, has made the country a popular destination for those looking to have great dental care at an affordable price. By choosing to get your dental caps in Costa Rica, you can appreciate beautiful scenery, excellent dental care, and a great price. Submit the free quote request form on the right for more information on Computer Designed Dental Crowns in Costa Rica.